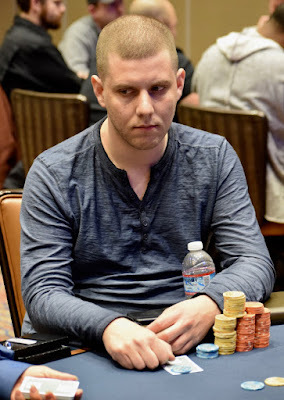 @AriEngelPoker opens for 7,000, @AllInVinKidd Moscati calls, then Jessica Berryhill moves all in for her remaining 38,500. Engel makes the call and Moscati steps out of the way. Berryhill shows Ace_Queen and she's in trouble against the Pocket_Queens of the current HPT Player of the Year in Engel.